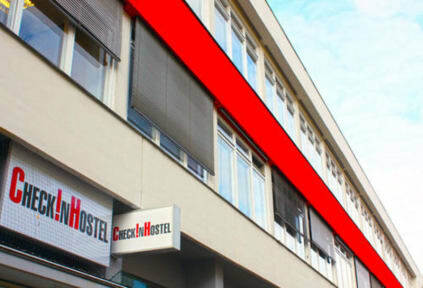 O Check In Hostel est localizado em uma parte histrica de Berlim, e oferece quartos confortveis a preos baixos. Pode chegar a partes importantes de Berlim como o Checkpoint Charlie ou Friedrichstrae em poucos minutos a p. Muitos populares bares, restaurantes e lojas tambm esto muito perto do nosso hostel. It was a nice stay, good location, hygiene and safety. The employers could be nicer, there was only one who smiled... But a good choice, overall. Toilet not very clean. Ambient is normal. 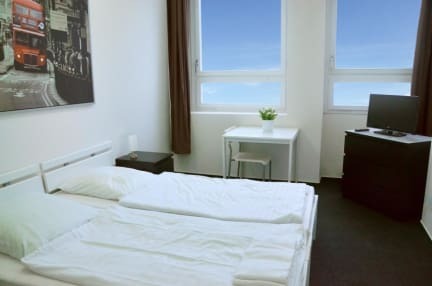 It's a cheap hostel with pretty much what you would expect to get. Don't count on fancy extras but you get what you've paid for. On guy in the staff is very nice and the premises are clean. The kitchen is a mess and the common areas are small but I didn't care. I used the hostel to sleep. The location is very good, it's very near Checkpoint Charlie and the Topographies of Terrors which are definitely worth the visit. There's a Lidl with cheap food 1 min from the hostel. Passei com a minha namorada lá 6 dias em Berlim e gostei imenso. Para mim foi a primeira vez que tive num hostel e gostei, o Staff simpatico e sempre pronto a ajudar no que pudessem, e destaco como sendo o principal ponto forte em igualdade com o da localização. O ponto mais fraco é a falta praticamente toda de convivio entre as pessoas, sala comum muito basica. A limpeza também acho que por vezes era negligenciada. Em suma, o valor a pagar não é o mais certo para as condições.